Here’s an extended quote from this week’s Archdruid Report by John Michael Greer. Worth reading in its entirety. …Over the last six weeks or so, I’ve fielded emails and comments from many sources insisting that peak oil has been disproved conclusively by the recent fracking phenomenon. This is hardly a new theme—in recent months, the same claims have been repeated almost daily at earsplitting volume in the mass media—but there’s a difference of some importance. The people who are sending these claims my way aren’t trying to claim that everything’s fine and the future of perpetual progress promised us by our culture’s most cherished mythology is on its way. No, they’re insisting that because peak oil has been disproved, I and other peak oil writers and bloggers need to get with the program, stop talking about peak oil, and start talking about the imminent threat of climate change instead. It’s a curious claim, all things considered. For well over a decade now, predictions based on peak oil have proven far more accurate than predictions based on the conventional wisdom that insists resource limits don’t matter. A decade ago, cornucopian theorist Daniel Yergin was loudly proclaiming that the price of oil had reached a permanent plateau at $38 a barrel, smart money was flooding into exciting new ethanol and biodiesel startups, and everyone other than a few peak oil writers out there on the fringes assumed as a matter of course that the market would provide, ahem, limitless supplies of energy from alternative sources if the price of oil ever did rise to the unthinkable level of $60 a barrel. Meanwhile, those peak oil writers out there on the fringe were garnering almost universal denunciation by predicting a difficult future of triple-digit oil prices, spiraling economic dysfunction, and the failure of alternative energy technologies to provide more than a very modest fraction of the vast energetic largesse our society currently gets from fossil fuels. The conventional wisdom was that this couldn’t possibly happen. A decade on, it’s not exactly hard to see who was right. 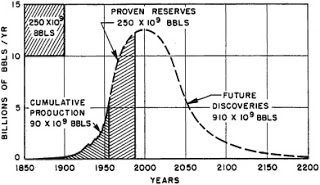 This is the diagram of peak oil from M. King Hubbert’s original 1956 paper on the subject. Those of my readers who are paying attention will already have noticed the very large area on the right hand side of the curve, more than two and a half times the size of all cumulative production and proven reserves shown, labeled “future discoveries.” The Bakken shale? It’s included in there, along with many other oil fields that haven’t even been found yet. The current fracking phenomenon, in other words, doesn’t disprove peak oil theory. It was predicted by peak oil theory. As the price of oil rises, petroleum reserves that weren’t economical to produce when the price was lower get brought into production, and efforts to find new petroleum reserves go into overdrive; that’s all part of the theory. 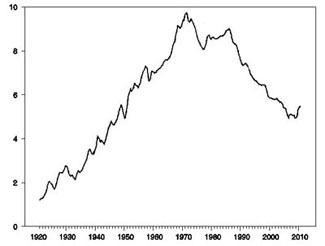 Since oil fields found earlier are depleting all the while, in turn, the rush to discover and produce new fields doesn’t boost overall petroleum production more than a little, or for more than a short time; the role of these new additions to productive capacity is simply to stretch out the curve, yielding the long tail of declining production Hubbert showed in his graph, and preventing the end of the age of oil from turning into the sort of sudden apocalyptic collapse imagined by one end of the conventional wisdom. Hat tip to the Health After Oil blog for alerting me to this excellent article by Steven Johnson at The Guardian. 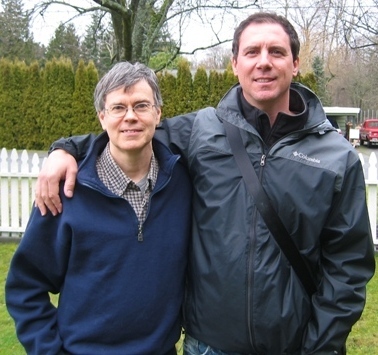 My friend and colleague Alan Seid is starting a telesummit tomorrow. This looks really exciting, and worth checking out. I think NVC (Non-violent Communication) is an amazing tool, both for personal communication skills, and for social change, and I’m looking forward to hearing how these different practitioners are applying it. Last November I wrote a post on The Importance of Good Communication Skills, and introduced Alan Seid’s Blackbelt Communication Skills Coaching Program. That program is still up and running, and I recommend it. Yes, I did sign up to be an affiliate. And there are a number of totally worthwhile and totally free training videos. I’ve been working really hard on this project and I’m SO excited to tell you about it! We already have about 250 1300 people signed up from 30 countries! 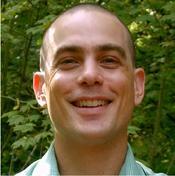 I’ve pulled together an all-star team of CNVC Certified Trainers who deal in the convergence of NVC and Social Change. This is a FREE event in which I will interview trainers such as Dominic Barter, Robert Gonzales, Miki Kashtan (and 15 others!!) to find out their views and accomplishments in various arenas such as positive social change, leadership, and the evolution of both consciousness and systems. – creating exceptional interpersonal relationships – personal and professional. Please pass this along to others who might be interested so they can enjoy these interviews. Also, if there is anything I can do for you, please don’t hesitate to be in touch.